Thank Friday it’s Fish Day at your local supermarket. Here at your local supermarket, we think any day is a great day to eat fish! This high-protein, low-fat food provides so many health benefits. 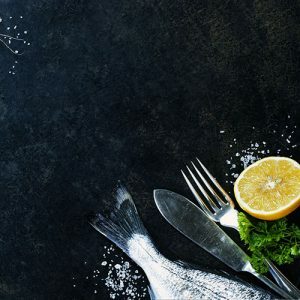 White-fleshed fish is lower in fat than any other source of animal protein, and oily fish is full of the good omega-3 fatty acids. Easter is almost upon us, and as it is considered traditional to eat fish on Good Friday we’ve found a perfect no fuss fish pie recipe that you can serve to celebrate with friends and family. Lay the fish in a large shallow pan and pour over 500ml of the milk. Cut the onions into quarters and stud each one with a clove. Add these to the milk, with the bay leaves. Bring the milk just to the boil, then lower the heat and simmer gently for 8 minutes. Lift the fish onto a plate and strain the milk into a jug to cool. Flake the fish into large pieces and place in an oven proof dish. Hard-boil the eggs, then peel and chop into quarters, arranging them on top of the fish. Chop the parsley leaves, discard the stalks and sprinkle over the fish and eggs. Melt 50g butter in a pan, stir in the flour and cook for 1 min over moderate heat. Remove from the heat, pour in a little of the cold poaching milk, then stir until blended. Continue to add the milk gradually, mixing well until you have a smooth sauce. Return to the heat, bring to the boil and cook for 5 mins to thicken, stir continually during this process. Season the sauce with salt, pepper and nutmeg, then pour over the fish. Peel and chop the potatoes then boil them for 20 mins. Drain, season and mash with the remaining butter and milk. Top the pie with the mash then sprinkle over the grated cheese. Bake for 30 mins in an oven that has been preheated to 200C/fan 180C/gas 6. 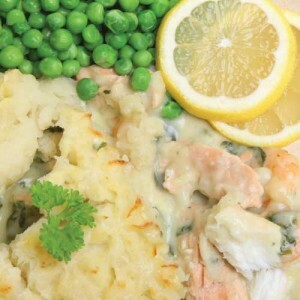 This no fuss fish pie can be served alone, with crust bread and a side salad or good old peas and carrots. The recipe serves 4 so double or triple for larger groups. At your local supermarket we’ve teamed up with the good fellas from Guytons to bring you the best fish in town, our in store fish counter is fully supplied by them, they deliver fresh fish to us every day! Remember we’re closed on Good Friday and Easter Sunday so call in to your local supermarket to grab your fish and other ingredients on Thursday. We’ll be open normal hours on Saturday and Monday. Fresh Choice Nelson is your truly “local” supermarket, so there’s nothing we love more than a little community collaboration. That’s why we’re stoked that we’ve been able to team up with the good fellas from Guytons. But now you can also grab your Guytons fish fix from right here in the city at Fresh Choice Nelson, because our in store fish counter is fully supplied by them. To celebrate we have gurnard on special at Fresh Choice Nelson from next Monday, at $28.99 per kg, and to tantalise your taste buds here’s some recipe inspiration! To make your apple slaw whisk together the oil and lime juice in a large bowl. Mix in the apple, cabbage, lettuce, onions and parsley. 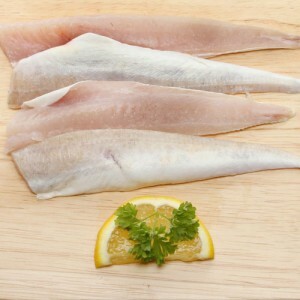 Season the gurnard fillets with salt and freshly ground black pepper. Melt the butter in a large frying pan and when it begins to sizzle add the fish pieces and cook on both sides until golden, the fish should be just cooked through. Pop it all together by slicing the buns and spreading with mayonnaise. Add a dollop of apple slaw to each and top with a piece of fish.